What a great time! If you weren't there, you missed some very warm fellowship, a lot of laughs, and the renewing of some wonderful friendships. If you have something you would like to share, be sure to forward it to the webmaster. As always, the Guest of Honor were those C 2/5 Cav troopers who did not come home, but stayed forever young in our minds and hearts. 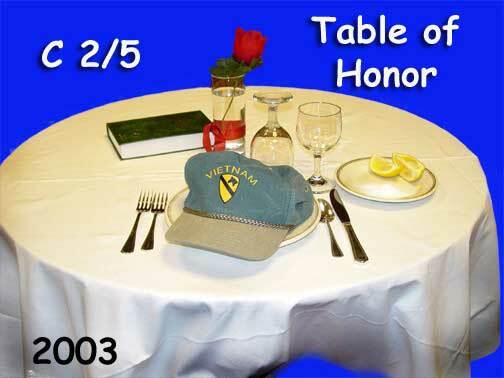 The empty table, so ably honored by the young members of a Junior ROTC Color Guard, was a fitting reminder of the cost of war. As we enjoyed our meal, laughed at old remembrances, and talked about our grand children, we remembered those with whom we once shared C-ration meals, laughed at new jokes from stateside, and talked about our parents, girl friends, and wives back home. Before the banquet Saturday evening, we gathered for a group photo. C 2/5 Cav arrived in Viet Nam in September 1965, and ceased operations in March 1972. That's 6 1/2 years of combat duty. 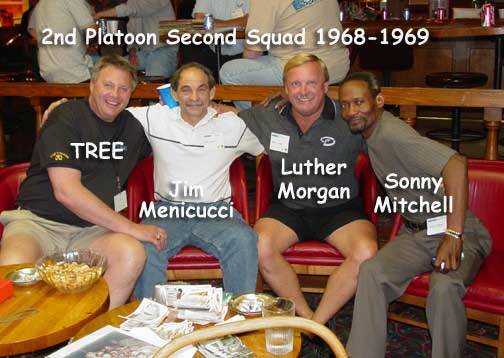 Near right: These gentlemen carried the C 2/5 Cav guidon to Viet Nam, landing at Qhi Nhon on September 14th, 1965. 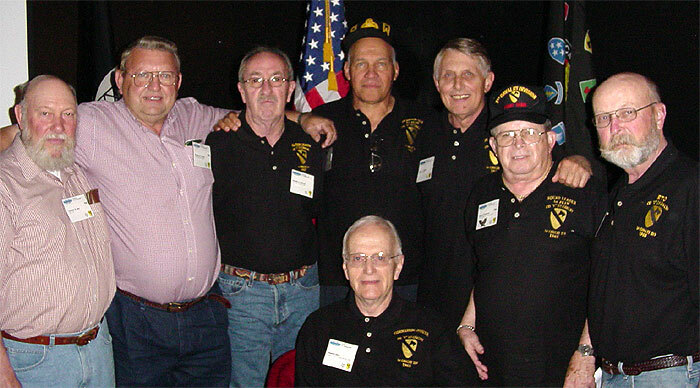 From left to right: Chet Sey, Tom Talton, Don O'Keefe, Parnell Bethune, Jim Mullen, Edgar Irizarry and Dennis Kelly. Seated is Ed Boyt. 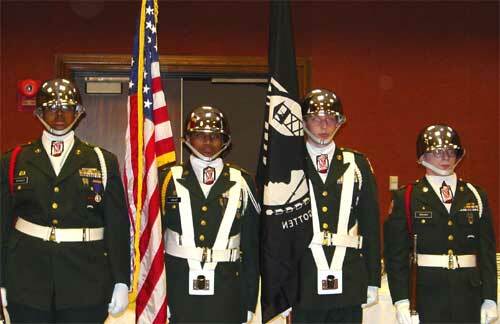 Far right: These gentlemen served with C 2/5 Cav in 1972, operating out of Bien Hoa. 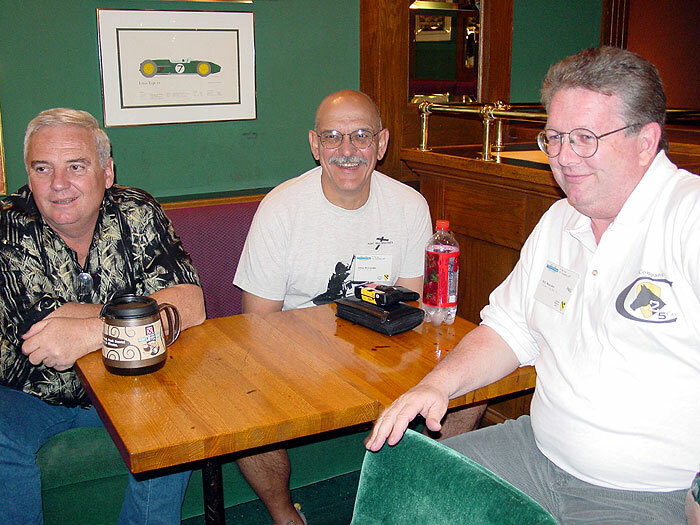 From right to left: David "Drops" Sprinkle, John McCorkle, and Bill Murphy. Four former commanding officers attended the reunion - four men who consider serving with C 2/5 the highlight of their professional lives. Top Picture: Left to right - CPT Ed Boyt (1965) brought the company from Ft. Benning and was there during the first fights and at the Ia drang Valley. CPT Phil Boatner (1968-69) was involved in the bloody fighting in III Corps until he was badly wounded on Easter Sunday, 1969. CPT Don Markham (1967) was the CO during the battle of Phu Ninh. March 11, 1967, in which nine C 2/5 Cav troopers were lost, and CPT Doug Young (1969) was with the company working out of LZ Ike and around the Mustang Trail. 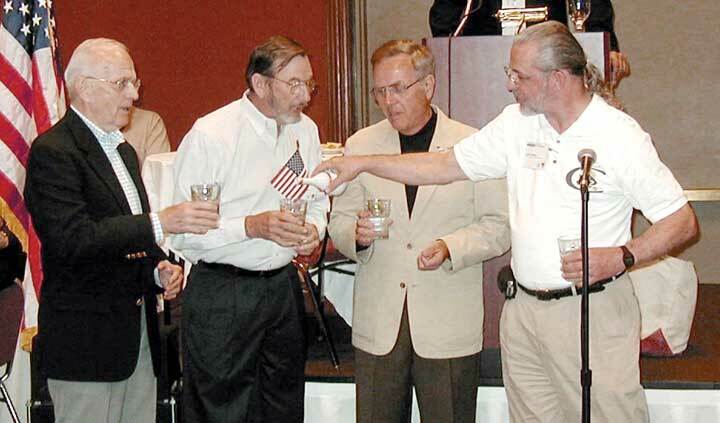 They fill their glasses with rice liquor from Binh Dinh Province before their toast to the men. Then they teamed up to serve dessert to the troops! The pound cake was much better than the stuff that used to come in C-Rations! We couldn't find any mermite cans, either! 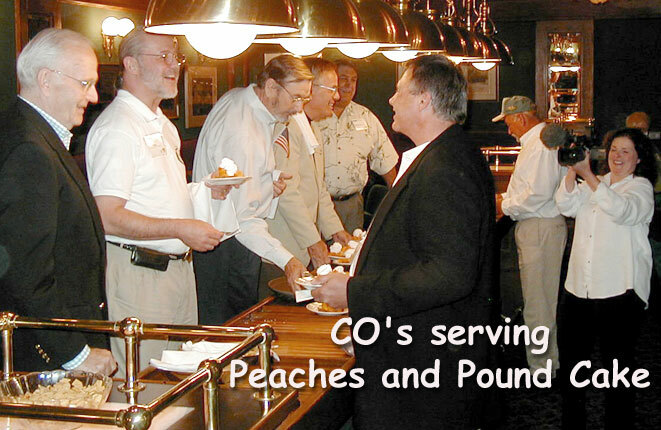 Behind the serving line from left to right: Ed Boyt, Doug Young, Phil Boatner, and Don Markham. 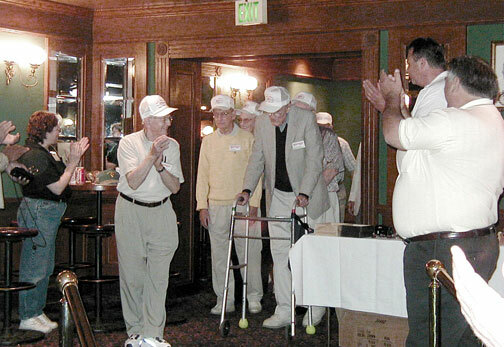 At the end is reunion organizer Eddie Hancock (1969), and receiving a plate of dessert is reunion organizer Jim "Tree" Machin (in jacket). As pure chance would have it, our hotel was also the host to a reunion of Company F, 318th Infantry regiment, 80th Infantry Division from World War II. It was indeed our privilege to honor these men who did nothing less than save the world. 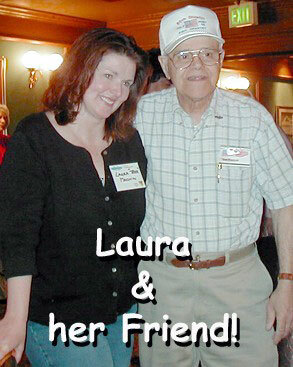 Near right: Laura with her new friend, reunion organizer Ervin Wojciechowski. Far right: honors and applause as the men of F/318 Infantry enter the room. 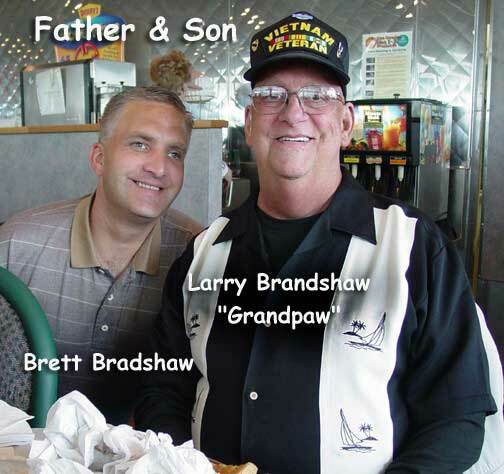 It was wonderful to see Larry "Grandpa" Bradshaw again. Though cancer is trying to do to him what the NVA could not (Grandpa was seriously wounded twice), he was at the reunion with the strong support of his son Brett - - who is now an honorary member of C 2/5 Cav! 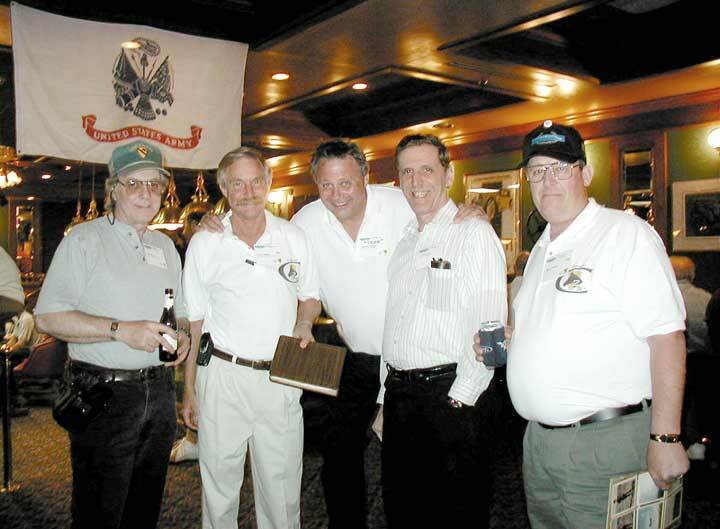 Sometimes we served together - often we've made new friends of men who served at a different time. 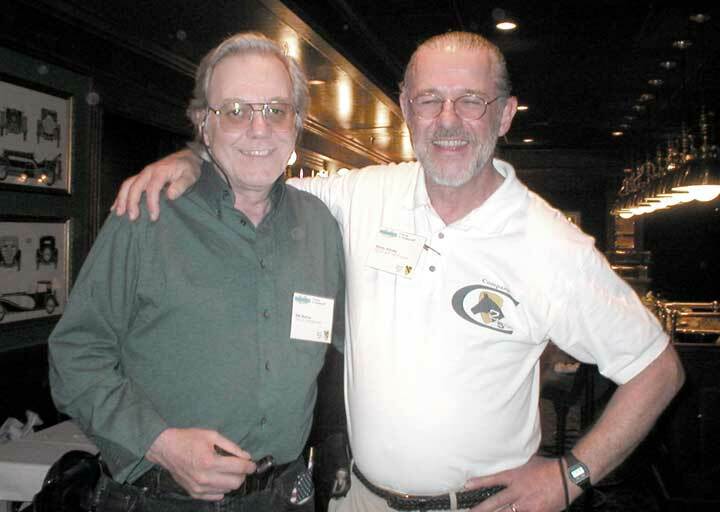 Clockwise, starting upper left: Bob Hutton and Doug Young did not serve together (Bob was leaving the company just as Doug was joining), but they share much together as Bob was a company RTO, and Doug knows the great courage and skill it took to be an RTO. 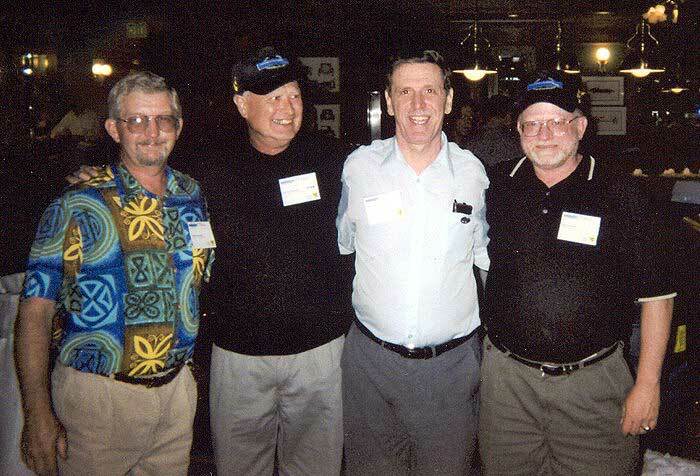 Far upper right: Bob Hutton, Jay Phillips, Jim "Tree" Machin, Richard "Doc" Bovie, and Mark Kunk. Far lower right: The "Docs." These are the guys that patched us up: Lonnie Branch (1969-70), Jerry Watson (1969) , Richard Bovie (1968-69), and Dan Hooks (1969).